In the tough job market of today you definitely have to put more thought and time into building your resume, especially since some employers will get hundreds of resumes for every job they have available. If you want to stand out from these hundreds of different job seekers applying for the same job as you it is important to know how to write a professional resume. You want your potential employer to be blown away when going through your resume. Well, what do you need to do in order to make a professional resume that will impress employers and get you more interviews and job offers? Check out these tips below that will surely help. Creating an outline for your resume will make sure you include all the fundamental elements you should have in your resume. 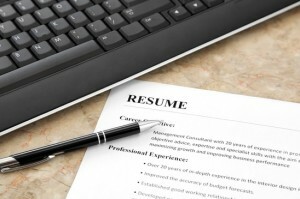 The first thing you should have in your resume outline is all of your contact information. The contact information for your resume will include your full name, address, phone number, and your email address if you have one. Make sure you write your full name in all capital letters, and make the letters bold and a little bigger than the rest of the text in the resume. One thing you should avoid putting in your resume is your date of birth so you don’t fall victim to age discrimination. Next you want to include your education. Always list your most recent degrees first, then your prior degrees, and make sure you list the dates of graduation. If there is a degree you haven’t earned it is a good idea to list the amount of credits you’ve received up to that point. If you have a really good GPA make sure you include that as well. Next thing you want to make sure you include in your resume is your work experience. Your work history will normally be the primary focus of any employer reading your resume. This is where you need to try to sell yourself and land the job. List all of your previous and current jobs providing 3 to 4 sentences of the overall duties you held at each job. List any important accomplishments you achieved through doing your duties in bullet format. Keep in mind you want your work experience to be relevant to what employers require now a days, not 10 years ago. The activities section in your outline should focus on things you do that relate to the job you are applying for. For example, if you participate in public speaking classes every Wednesday night and you are applying for a job that would require you to speak in public now would be a good time to mention this. Lastly, having references is very fundamental to any resume. This is where you’ll include any names of people who can provide you with references or vouch for you. This part of the resume isn’t always required since no employer will check references before they get a chance to interview you. When you make you heading you need to include all the important contact information like your name, address, telephone number, and email address. Make sure your name is bold or highlighted so you catch the reader’s attention. The address needs to be your full home address, or if you are a college student it is a good idea to list the address of your school too. Always include a telephone number and/or email address in your resume. Avoid using your work number unless you can talk at will from that telephone, and employers can leave you messages without risking your current job. Make sure employers know it is you they are leaving a message for when they leave you a voice message, so state your name clearly in the message recording. When you leave an email address on your resume make sure it looks professional so you give the best first impression. If you don’t think the email is professional sign up for another email account that looks more professional. These days social networks are very popular so it can be effective including one in your resume. The best social network to use in your resume is a professional LinkedIn profile that is relevant to the job you are seeking. Most employers have a LinkedIn profile so it can’t hurt including your own LinkedIn profile in the resume heading. When you are making a resume you need to choose what format you’ll be writing it in. One format is known as chronological. The chronological resume format is better for you if you have a strong background in just one industry. If you just graduated from school with no or little work experience then the chronological resume format is your best option to go with. The next type of format for resumes is known as functional. The functional resume format is great for job seekers who have a lot of experience and skills in a certain field that can be converted to another career. Regardless of what format you use for your resume you have to make everything can be scanned easily. As mentioned earlier your potential employer has hundreds of resumes being sent their way so they don’t want to read a resume a disguised as a novel. Put yourself in their shoes and make it easy for them to read through your resume. Use short or tight word blocks with no more than 3 or 4 lines. Also, make sure you use bold texts to help highlight information you want them to notice. Use descriptive titles throughout your resume to help catch the eye of the employer scanning through your resume. Some employers will use a software to scan resumes for specific keywords to help them filter out resumes that most likely won’t fit what they are looking for before getting through to a real person for review. To help make sure you resume gets read be sure to include specific keywords in your industry inside the resume. You can utilize a tool like a free resume builder to help you put together your resume in order to make sure it is easy to read and has all the fundamentals necessary to make it convert better. There are definitely some things you should stay away from when building your resume. First, never put too much information in your resume. Most employers reading through your resume won’t read it word for word so it won’t do you much good putting more information than what is required any way. Secondly, never share inside information from your last job to your potentially new employers. This will show the person reading your resume that you cannot be trusted and your former employer could find out about this and execute a lawsuit. Third, unless the job you are applying for asks you what you would want to get paid never talk about salary. Talking about salary requirements could cost you potential jobs if you give a number too high or too low. Instead of risking it just leave it out of your resume entirely. This guest post was bought to you by the guys at Resume Companion. When you are ready to build your resume visit http://resumecompanion.com and get all the tools you need to easily create your professional resume that’ll impress any potential employer. I have always just farmed out my resumes, but after reading your article, I think I could handle it myself. You say not to put too much information in the resume, how will I know how much is too much? Personally I think that a resume should be 3 pages or less (ideally 2) as the people reading it will have a bunch to go through, and if they come across war and peace on their desk, I’d imagine it would get skipped pretty quickly! A good resume is one the most important tools for personal representation! It should be strong, precise and show clearly achievements. The personal information such date of birth and contact information should not be put in a way to attract the first attention. Achievements and last positions are a lot more important. Yes, I’d always put jobs in reverse order, i.e. latest position right at the top of the resume. This is a very informative article. I have been a homemaker for 16 years. My children are all in high school, so I am beginning the process of job-hunting. Do you think I should put the year I graduated from college or leave it off because it was in the 1980’s? Also, if you have any other advice for someone reentering the workforce, I would appreciate it. Thanks! Hi Lynnette, I personally would say that it is important to date every job, school and achievement on your resume. Hi Steve! This article was of special interest for me because I lost my job recently, and I haven’t had any luck finding another one so far! I’ll use the tips you gave in your article, the section I found especially useful was the ”what to avoid”;It’s good to know it’s not necessary to add a lot info to our resumes. I used to think that potential employers liked that. One thing to bear in mind is that redundancy is often the point at which people decide to go it alone and set up a business themselves! Would you recommend personalized resume’s? I currently have 3 resume’s, one for the BPO industry, one for sales related jobs and one for art/music industries. I try to include only relevant experiences, seminars and training in each resume. I haven’t sent any of them out yet since I’m trying my chances with business. If in-case I find myself needing a job, What do you think about this method? An excellent comment Fonso, I think ideally one should create a targeted resume for every job that you apply for ensuring that it is ‘tailored’ to tick as many requirements on the job description as possible. Your resume is basically just the first step, it allows you to get access for an interview, so ensuring that it makes you look like the perfect candidate (whilst being 100% truthful) will always help your cause. Good advice, I’m still in college and will try to follow some of this as I start to apply for more internships and eventually jobs. Do you think it is good to put age if you are still young, to help justify the limited professional experience? Not necessary, just put down your academic achievements to date, and your expected graduation date/grade and they will understand exactly where in your career you are. These are all great tips, in the article as well as the comments. I have heard that listing the volunteer work you do that is relevant to your field of interest is also important to include. I would think also that volunteer work shows that someone can make a commitment to worthy causes and is well-rounded as an individual. At least that’s how I would see it if I were the one scanning resumes and looking for candidates to interview. That’s an excellent point, the inclusion of any NFP work you may have would be an excellent selling point for any candidate.